What is The Great Get Together? The Jo Cox Foundation, and subsequently The Great Get Together, was founded after the murder of the MP Jo Cox by a far-right terrorist while she was on a constituent visit. Jo had dedicated her life to serving her community and promoting kindness, compassion and equality. Jo’s murder created a wave of grief across the country, but also a surge of positive action to create something positive out of the tragedy of her death. When she was killed she was working to address loneliness in our communities, as well as speaking up against divisive politics and media rhetoric which emphasises our differences and incites conflict. The Great Get Together aims to continue this work by encouraging people to come together and celebrate friendship, our shared humanity and Jo’s life. The Great Get Together approached Montfort to run their Christmas campaign. The celebrations in June 2017 broke records as the largest series of neighbourhood celebrations since the Jubilee, with 9.3 million taking part. Feedback from supporters was that they wanted to repeat it in 2018, but the small team of staff at The Great Get Together felt it was important to retain momentum amongst their supporter base with a Christmas campaign too. The Jo Cox Foundation wanted to develop a concept which embodied the principles of the original Great Get Together, but with much lower resource and time available, it needed to be far simpler and easier to take part in. 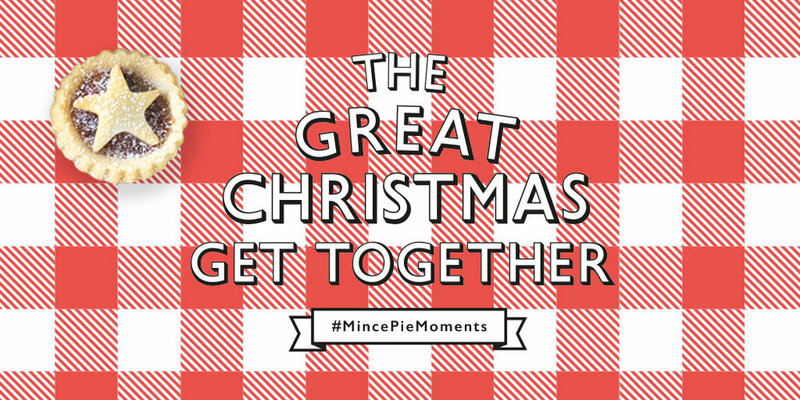 They settled on the idea of #MincePieMoments, which would encourage people to use the excuse of a mince pie, and the festive season in general, to get together or simply make conversation with someone they wouldn’t otherwise. The Jo Cox Commission on Loneliness was also launching the findings of a year-long investigation into the causes of loneliness, which this activity should also support. The Montfort team’s flexible and friendly approach meant that, on the client’s request, we were able to integrate ourselves into the team and take the lead on multiple projects with confidence. Members of the team attended meetings in person and joined in weekly team calls with permanent members of staff management, PR, comms and strategy. As a team, we were able to bring expertise not just in our specific fields of digital marketing strategy, but the charity sector in general. This meant we were able to anticipate audience needs and develop effective content and contingencies which agencies without this specialism would have missed. We also were responsible for the day to day community management which was needed following the increased attention on the organisation's digital channels. Weekly Facebook, Twitter and Instagram content scheduling based on guidance and feedback on the brand’s tone of voice. This included partner and original content. Responding to comments and queries across all digital channels including email. Management of paid Facebook advertising in partnership with colleagues in Facebook’s partnerships team. Production of video content, both with a separate video agency and in-house. Development and re-design of the existing website in preparation for the Christmas campaign. The client was extremely pleased with the results of the campaign, which were delivered on target and on schedule. 93% of people said they felt more connected to their community after taking part. Our campaign activity also provided a foundation on which The Great Get Together team were able to amplify their message through some of the UK’s most popular public figures, including Stephen Fry, Delia Smith and Bill Nighy. The #MincePieMoments digital activity was also fully integrated with print and broadcast media of the campaign. In particular Jo Cox’s sister Kim’s appearance on BBC Breakfast was extremely popular with The Great Get Together’s online audience. We also heard some touching stories on social media and through the campaign evaluation that showed the campaign really resonated with its audience, and most importantly made a difference in their lives. *Video created in-house by Montfort. And we’re not finished yet! Perhaps the best measure of how well the partnership between Montfort and The Great Get Together team worked, is the fact we have continued to support them as they prepare for their big Summer event on 22 – 24th June 2018. We’ll be sure to let you know how that goes too.